Are you struggling to think of things to buy your friends and family in all the Christmas shopping madness? Well, the Urban Market are on hand to help you find the perfect gift at Paisley’s Christmas Lights Switch-On 2018. The Urban Market will be at Paisley Abbey from 1pm – 6pm on Saturday 17 November, with a wide range of original gifts and creative crafts from some of Scotland’s best artists and makers. From handmade jewellery and clothing items to delicious food and drink, there’s something for everyone – including treats for your pet pooch! Ahead of the festive extravaganza, we’ve picked out five beautiful and unusual items that you can purchase at the Urban Market. Get the Paisley look with this colourful beanie hat by Lake and Loch – complete with the town’s famous pattern design. Lake and Loch’s beanies are double-layered for extra cosiness to make sure you won’t go cold during winter nights out. 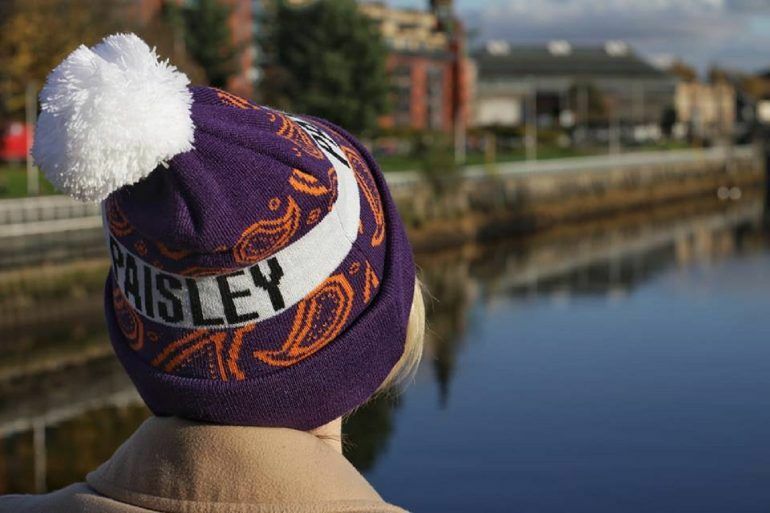 This fashionable beanie hat matches Paisley’s big personality, whilst capturing the town’s rich heritage. Fancy treating your prized pooch this Christmas? 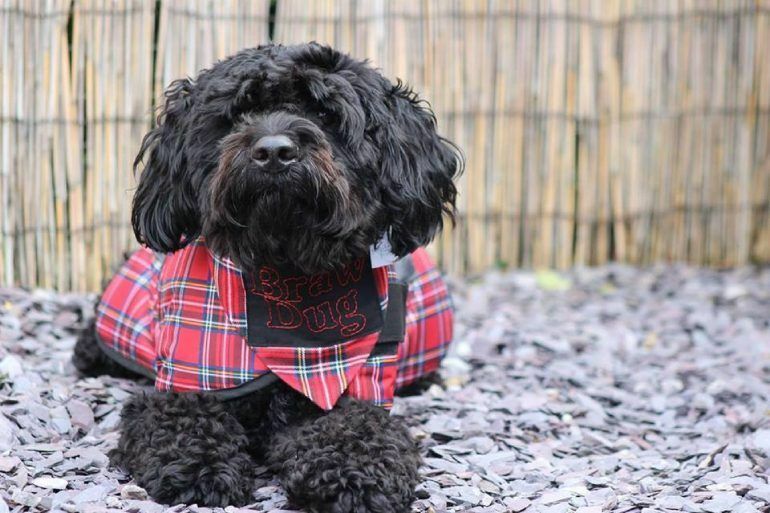 These adorable tartan jackets and bandanas will keep your dog cosy with a Scottish style during winter walkies. The Braw and Bonnie Dug collection was launched earlier this year with a range of luxury dog jackets and accessories and are bound to be popular with pet owners at the Urban Market in Paisley. 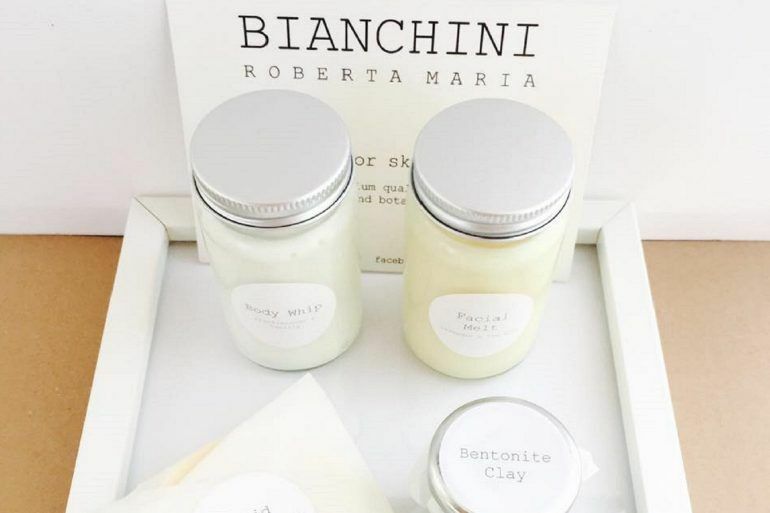 Treat a friend or loved one with some of these fantastic RMB Skincare beauty products for skin and hair; homemade with premium quality natural waxes, butters, oils and botanical infusions. The range includes lip butter, body whip, facial melt, solid moisturiser, hair oil, multi-use wax and bentonite clay. 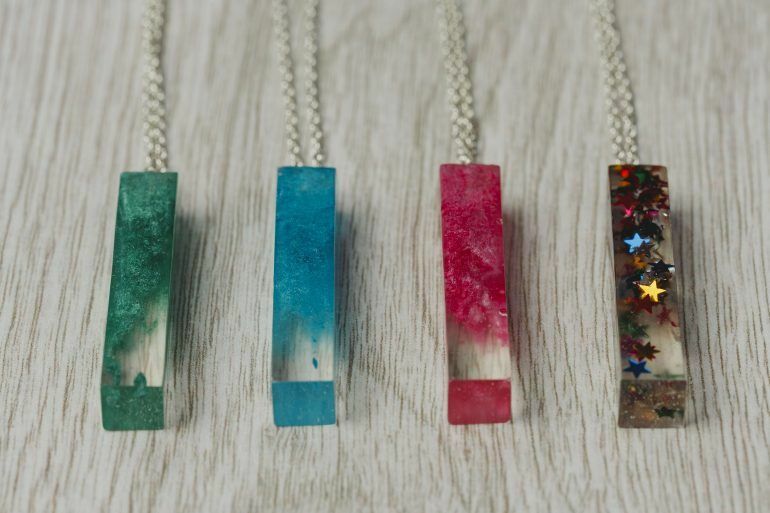 Spread some colourful joy this Christmas with these rectangle pendant necklaces by Red Apple Handmade. This lovingly handmade jewellery was created by using resin for the mould as well as eyeshadow and glitter for its gorgeous eye catching bright colour and design with sterling silver chains. 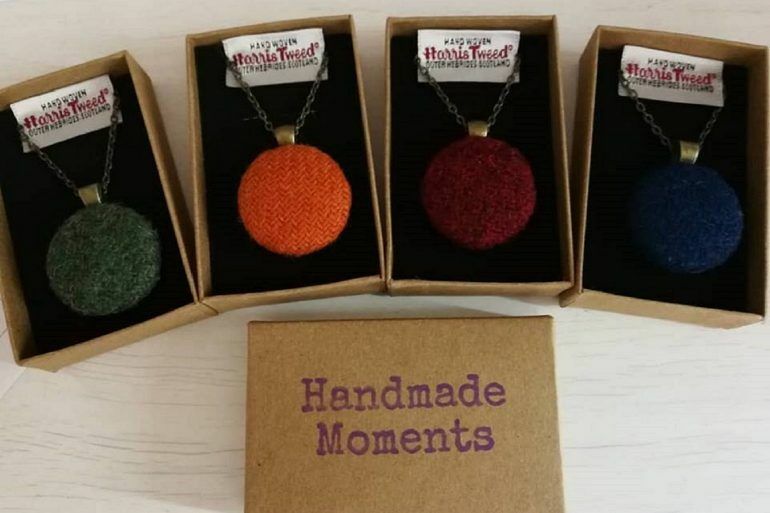 Harris Tweed with a difference – these handwoven pendants showcase the iconic Scottish brand in a unique way and will be available to purchase at the Urban Market Paisley. Handmade Moments put an incredible amount of love into making a piece from scratch and believe in having products that are unique and a little different. The Urban Market Paisley is the ideal place to get started on your Christmas shopping – don’t forget to pop in to Paisley Abbey during Saturday’s festive extravaganza.